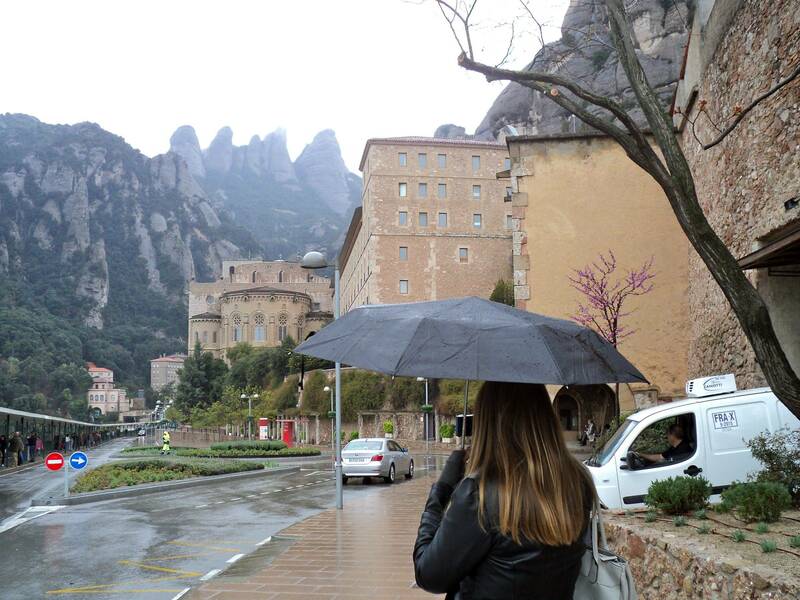 You already read about Amalia and I visiting Montserrat. Here are some (foggy) photos from that day. 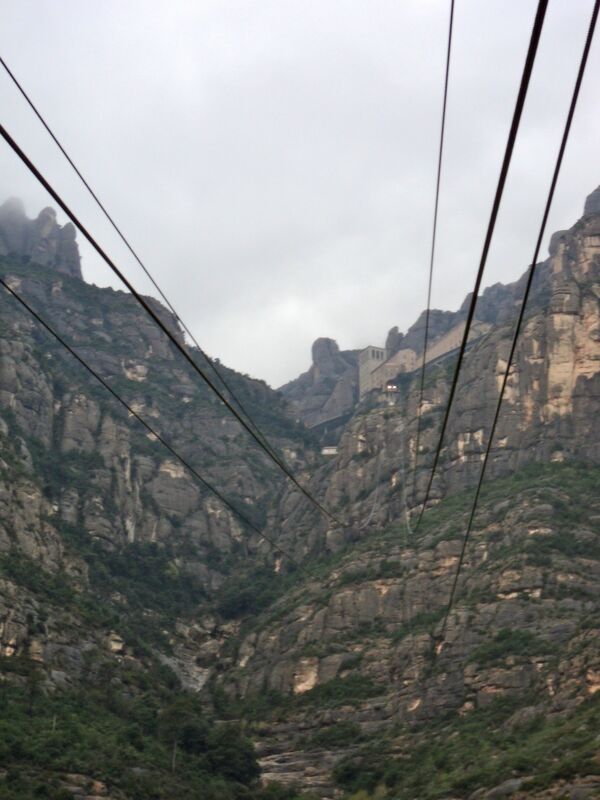 Cable cars are really fun. 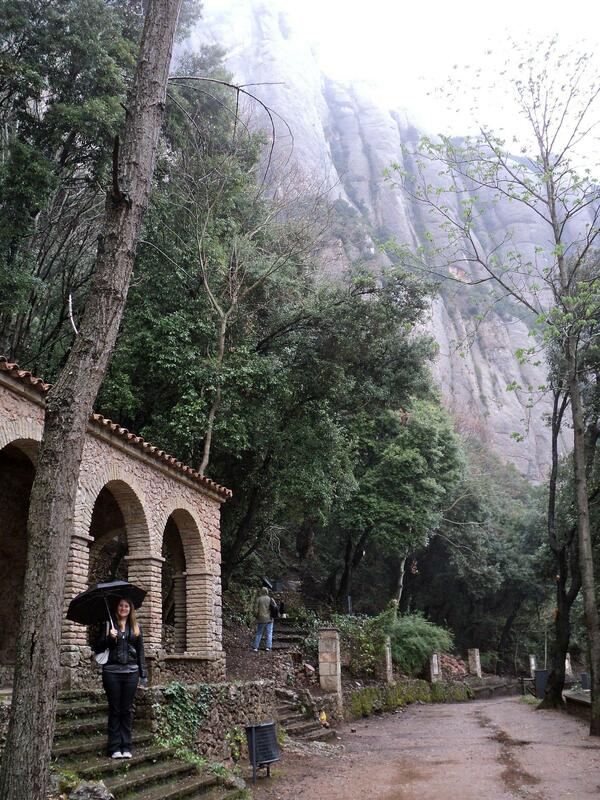 The monastery was beautiful. If it were summer, I would have loved to take the funicular up that peak to the left there and go climbing around. As it was, we went for a short walk along this rainy road. 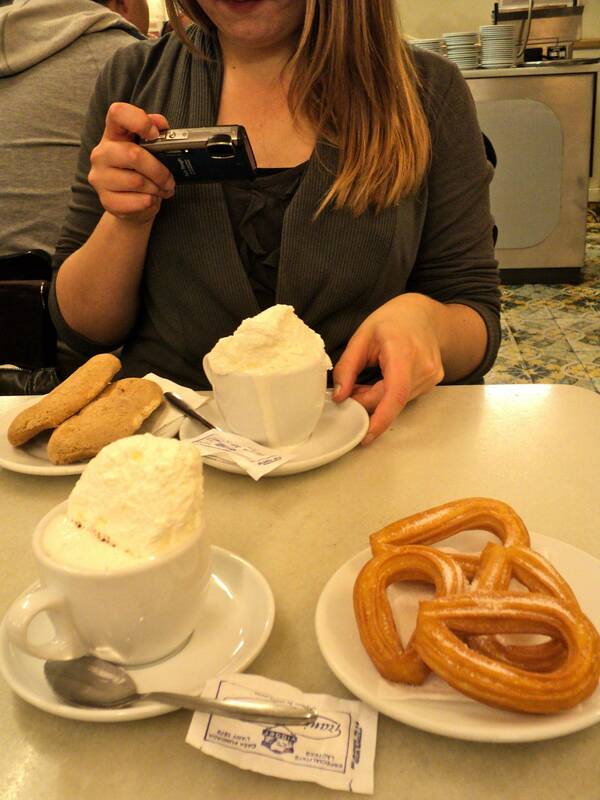 Back in Barcelona: xocolata suiza and xurros. Look at that mountain of whipped cream. It’s insane, actually. 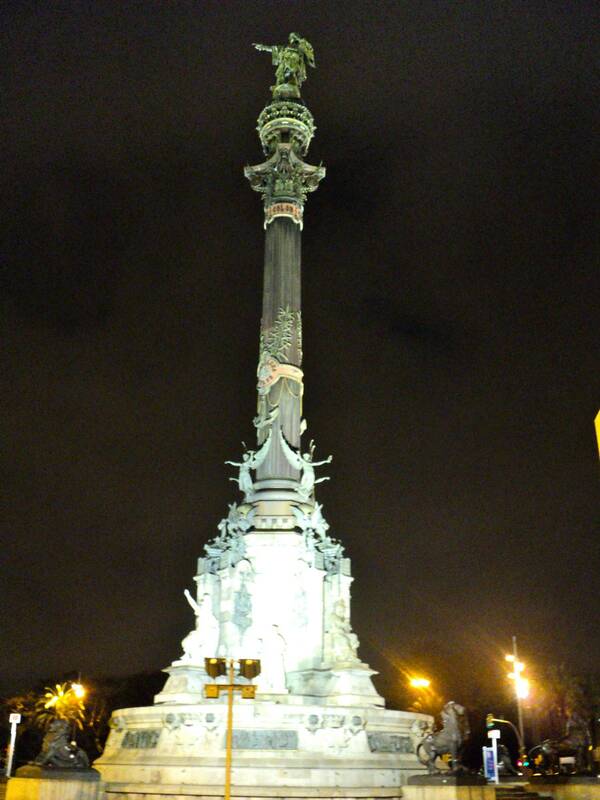 The lovely monument to Christopher “THATAWAY” Columbus and the Noble Savages of the Americas. In case you can’t tell, that’s him up on top of the column, pointing us southwest. The savages are down there at the base. To see more photos of the mountains in fog, go here. 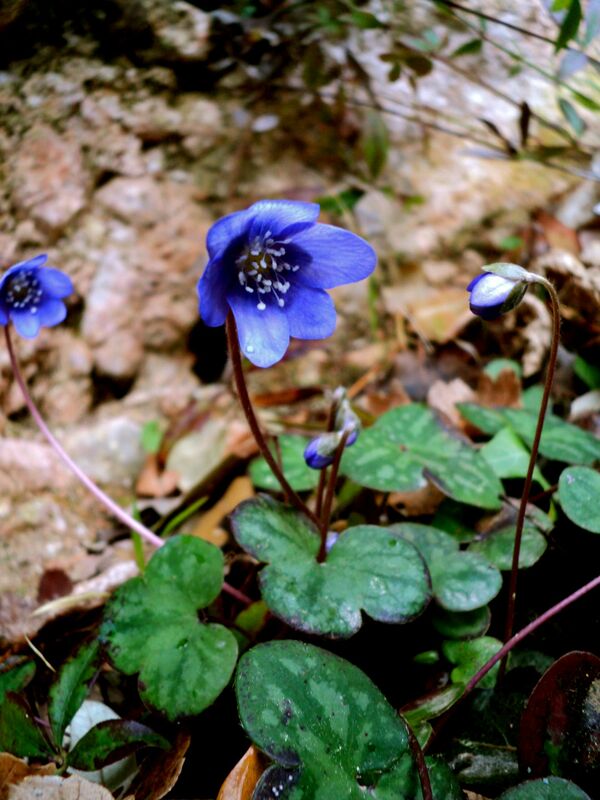 Beautiful crags and what is the lovely blue flower?